I'm so lovin' the Wild Child Collection from SVG Cuts!! Having so much fun creating new eyes to go with this set, just love how the eyes look on this cute little lion. 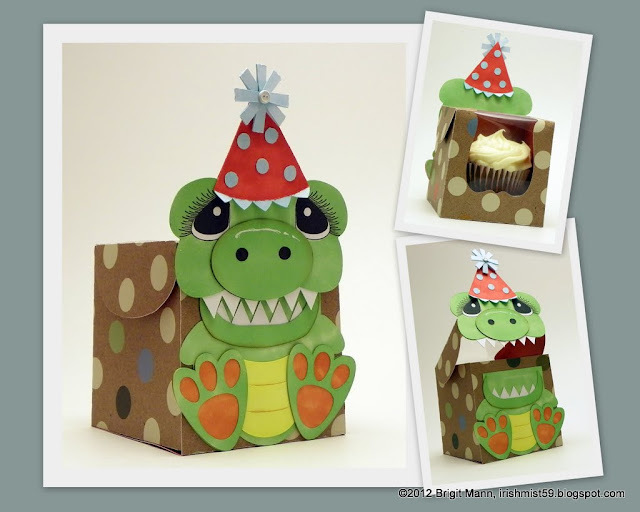 This collection makes such adorable children's birthday cards, so simple and cute. For the eyes I did a print n cut using my Sizzix Eclips and eCal and then colored with ProMarkers. I just got back from our vacation down in Charleston, SC, we had such a wonderful time. My son Rory went to the College of Charleston and we fell in love with it, we hadn't been back since he graduated in 2008. This collection Wild Child from SVG Cuts came out while we were vacationing, I think it's just adorable! I couldn't wait and make this baby's 1st birthday card using the elephant, isn't he so cute!! I also used the Birthday Elements and My Happy Garden Hideaway Collections. I did a print n cut using ecals software with the eyes which I made and the Baby's 1st Birthday. 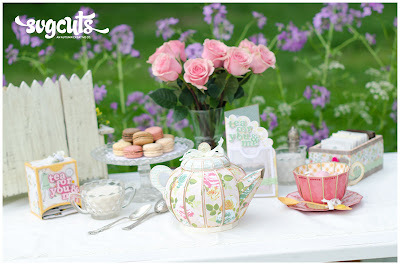 The new kit Tea For You and Me, at SVG Cuts is just such a beautiful kit and can be used for so many occasions. It has a teapot, teacup and saucer with a cute little 3D spoon, a teabag dispenser, a teabag carton and a card that holds a teabag. I used the card from the kit without the teabag holder to make this birthday wishes card. The flowers are from the Veggie Garden collection part 1, there are a nice assortment of garden svg's in both the 1 & 2 of the veggie collections. The butterfly is from the Mothers Garden kit and the leaf is a freebie from SVG Cuts blog called tropical leaf. The background paper is from Echo Parks Digital pack This & That Graceful and the doily I cut from a light green vellum so you could see the paper under it. The Sizzix Eclips is a dream machine, it cuts beautifully, even the smallest detail cuts. I can't wait to really play with it this weekend. I put this card together using the flower and leaves from SVG Cuts Happy Birthday To You kit and the border from the Poplar Street Tulips kit and one of the doilies from the Doilies Collection. I used glimmer mist on the flower and border and my homemade glimmer mist on the doily. I inked the petals lightly with tattered rose distress ink. I really love this soft Victorian feel of this card. 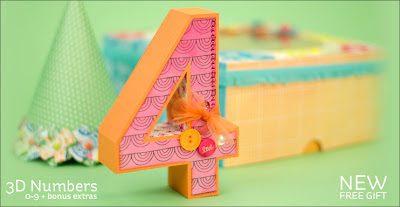 SVG Cuts came out with a 3D Numbers Party kit to match the 3D Letters. Besides the 3D numbers you get an awesome cupcake box with inserts, party hat, a one piece box and a banner, perfect for a Birthday party, Graduation or any other occasion. 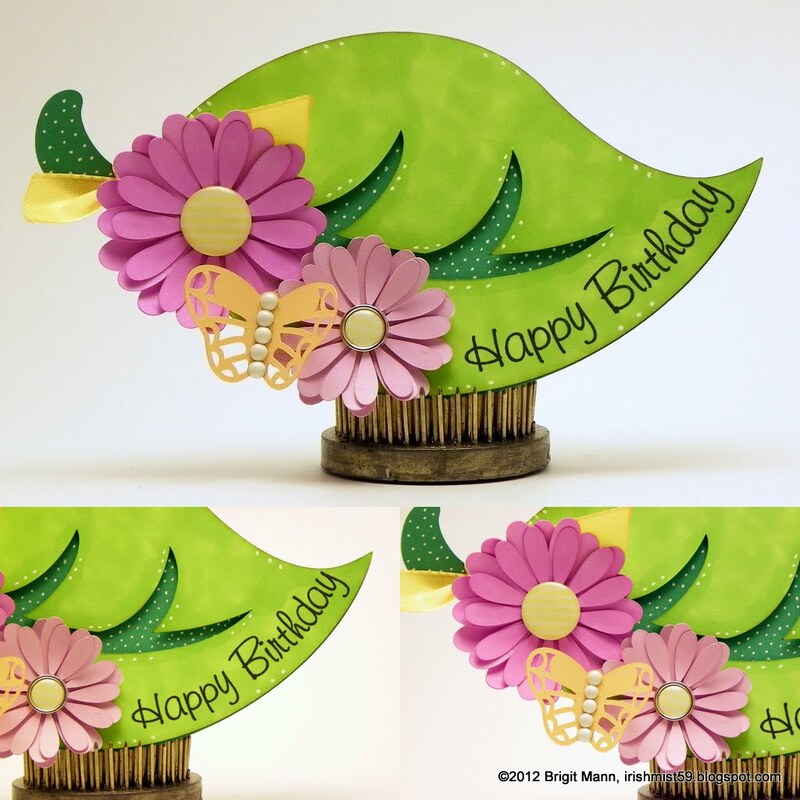 I love making cards and I thought an invitation would go perfectly with this kit, so I took the numbers and the party hat with the flower and created this card. I also used the word PARTY from the Everyday Cards kit and did a print n cut for the label. The paper is from Echo Park's Digital Pack Times & Seasons. The box from the new kit Mother's Garden is perfect for some sweet treats inside. I didn't have candy but I had some cake balls and I could fit ten. I love the design of this box and the elements that come with it, a perfect little gift box. The cake balls were made in my new babycakes machine, I think I'm going to like this machine very much! All the pieces here except the green tag, yellow leave and buttons, come with the box, I really love the top two layer pieces. The scalloped edge on the box top is such a nice touch, just makes the box very elegant. Love the flowers in this kit, there are three layers and I used dimensional glue dots in between.